Michael N. Barbadoro is an associate of the firm. Mike counsels clients in probate administration, probate litigation, elder law/estate planning and civil litigation. Mike’s probate practice includes representing Personal Representatives in the administration of estates, serving as Guardian and Conservator for incapacitated persons and minors, and representing litigants in probate court litigation disputes. Mike also assists the estate planning and civil litigation practices. 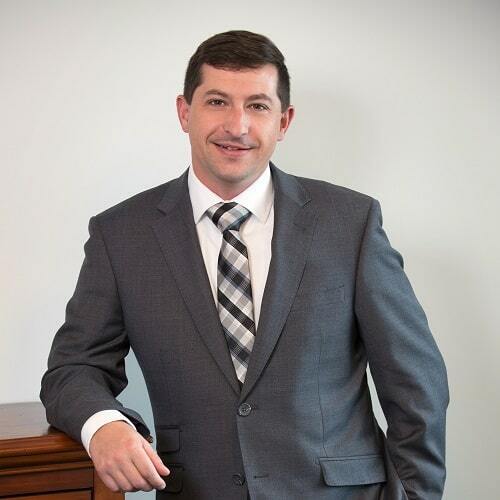 Prior to joining the firm, Mike was a Case Specialist at the Norfolk County Probate and Family Court. Mike lives in Holbrook. He enjoys playing hockey, golf and spending time with his nieces and nephew.